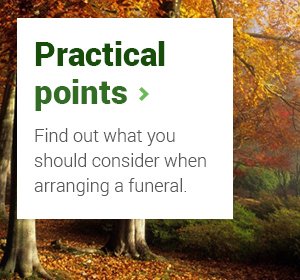 "Your friendliness and attention to detail made a difficult time so much easier to cope with..."
Usually the funeral director will contact an officiant for you but you are welcome to make your own enquiries directly to the BHA, raising any questions you may have about non-religious ceremony. The BHA can put you in touch with a local officiant or, if you already know someone, can check that the person is accredited by the BHA. If the details of a local contact have been inserted below you may of course get in touch with the person direct. Below is an example of an order of ceremony. Starting with introductory music and of course ending with closing words and final music.